If you’re planning on towing another vehicle the first thing you need to understand is that towing is dangerous. If you’re not completely confident in your towing abilities, under no circumstances should you get behind that wheel. Now, if you are confident enough, you better not get overconfident. It’s vital to keep a level head and think about what you’re about to do. To give you a helping hand, Towing Dallas and their network of licensed affiliates experts has put together a list of 10 tips to help you stay safe. Follow these safety tips for towing a vehicle and everything should A-OK. Inspect your towing apparatus (towing bar, towing dolly, towing rope) before you start your journey. If it’s not up to the task, don’t use it! Place easy-to-read signage on the vehicle that is being towed in order that other drivers know what’s going on. Ensure your own vehicle’s tires are inflated to the proper levels. This will allow it to maneuver better with the added load. Try to tow when roads are less busy (mid-morning or early afternoon). Never tow at night. The darkness makes it harder for other drivers to see you and the other vehicle you’re towing. Always pull away slowly to avoid snatching the tow rope or causing unnecessary pressure on the tow bar / dolly. Drive at a sensible speed, under the speed limit. Your stopping time will be greatly increased so the slower you drive the sooner you stop. Give yourself more room than you think you need. Slowing down with another vehicle behind you is harder than you think. Don’t make any sudden movements or unnecessary maneuvers. If you miss your turning, continue on to the next one. Never overtake another vehicle. Remember, your vehicle is twice its normal length which makes it harder to pull back in to avoid oncoming traffic. Does the idea of towing another vehicle fill you with dread? Are you thinking there’s no way you’re going to be able to safely tow another vehicle? Don’t worry about it. 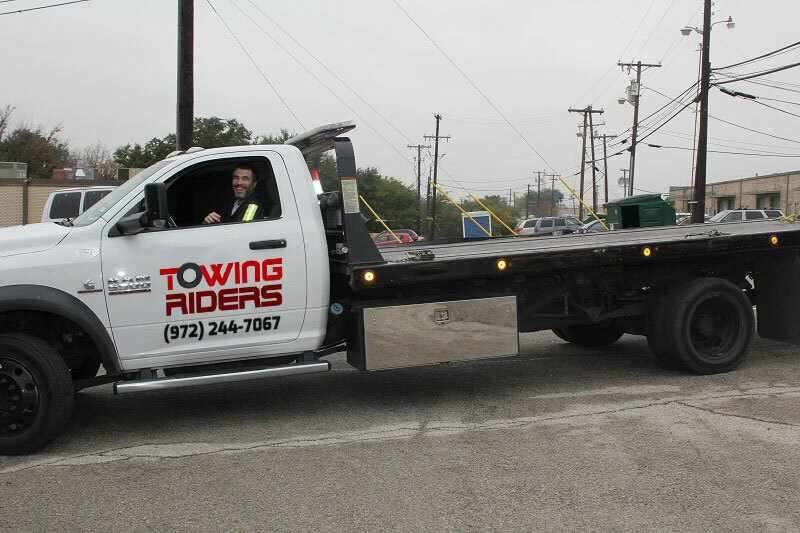 Towing Dallas and our network of independently owned and licensed affiliates offer a professional vehicle towing service throughout the city and surrounding areas. 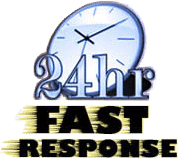 With around the clock coverage, competitive prices, fast response time, and experienced tow truck operators at hand, we’ll help you wave goodbye to all your towing worries. Contact us at Towing Dallas to find out more about our vehicle towing service!